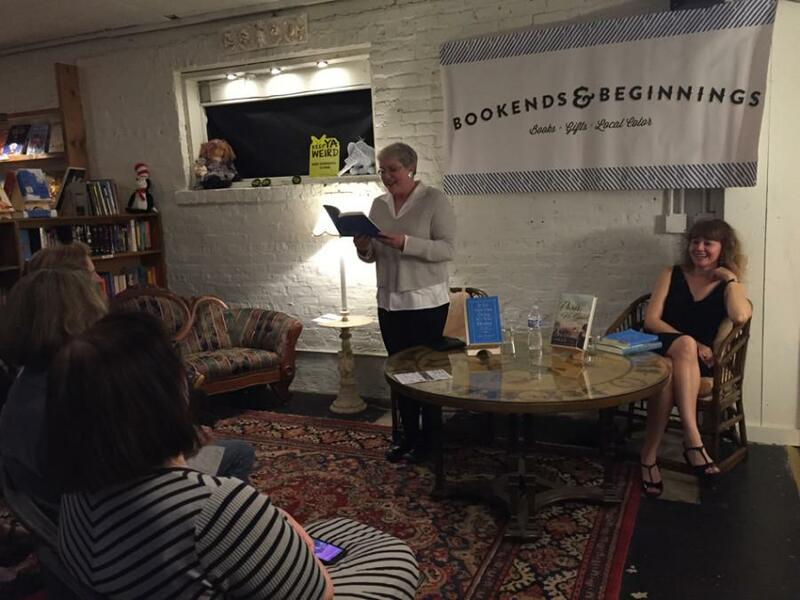 Saturday Night Live alumna Julia Sweeney reads from her memoir “If It’s Not One Thing, It’s Your Mother.” Sweeney and local author Christine Sneed participated in a reading and conversation held Friday night at Bookends & Beginnings. An Evanston bookstore held a discussion Friday evening with a Saturday Night Live alumna as part of the city’s inaugural literary festival. SNL alumna Julia Sweeney and author Christine Sneed read excerpts from their books at Bookends & Beginnings, 1712 Sherman Ave. Both are from the area — Sweeney is from Wilmette and Sneed is an Evanston resident — and were selected to bring attention to local writers, said Nina Barrett and Jeffrey Garrett, the bookstore’s owners. More than 30 people attended Friday’s event, filling the back room of the store and causing some audience members to sit on the shelves or stand. Sweeney’s book, titled “If It’s Not One Thing, It’s Your Mother,” is a memoir about her experiences as a mother that comprises a collection of essays. Sneed’s novel, “Paris, He Said,” is a work of fiction about a female artist trying to find herself after receiving the opportunity to travel to Paris. The readings were part of the first annual Evanston Literary Festival, a one-week celebration to honor literary culture, said John Wilson, the event’s co-organizer. “Evanston is a great literary community, so what we wanted to do is create this festival to draw attention to things that were already going on … at Northwestern, the public library and Bookends & Beginnings,” Wilson said. Co-organizer Lynn Haller said the festival was held to raise awareness about local literary events and encourage more people to attend them. Sweeney and Sneed have been friends since they first met at a Chicago Public Library event a few years ago and have enjoyed reading each other’s works, both authors said. Their friendship and mutual appreciation of literature motivated Sneed to ask Sweeney to join her for the reading. After reading excerpts from their books, Sweeney and Sneed entertained conversation about how and why they write, which Wilmette resident Gili Sherman said was the highlight of the evening. The event concluded with a chance for people to purchase the books, have them signed and converse with the authors.